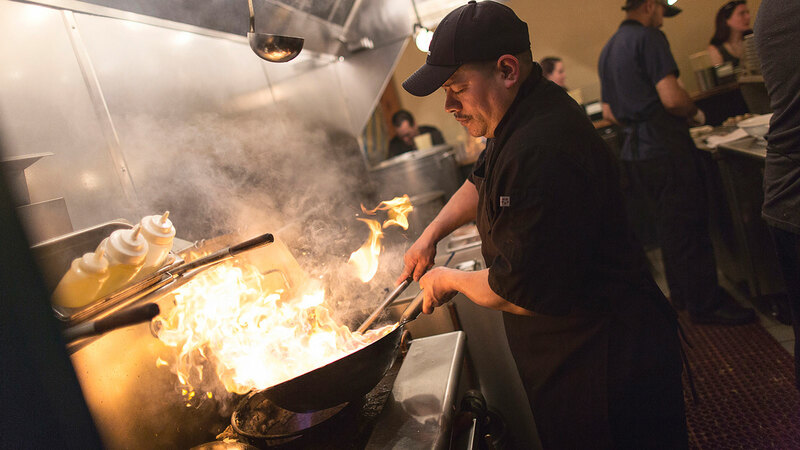 Maintaining compliance with the restaurant industry’s many laws and regulations isn’t always easy — in fact, it’s one of the most difficult facets of running a successful foodservice operation. The goal of any good restaurant should be simple: deliver a great experience to the customer through quality food and service. If only it were that easy! In order to make that great experience happen, you have to check off a LOT of boxes. Are you storing your foods at the right temperatures? Are you filing payroll reports on time? Your business serves alcohol — are your employees checking customer IDs as needed? Did your manager log that injury Dave suffered on the job last week? That’s just the tip of the iceberg when it comes to restaurant compliance. Non-compliance with any one of the many food labor regulations could result in significant damage and penalties to the restaurant., including expensive foodborne illness compliance violations, class action lawsuits, and damaged reputations. It’s also critical for restaurant owners and operators to fully understand employee rights and wage laws in order to protect their businesses and create a workplace that is in compliance. Here are some common compliance violations and how a manager’s logbook can help your stores minimize risk. Restaurants are inspected about every six months for health code violations. Big violations can be easily fixed and resolved without much damage to restaurant sales or reputation. At the same time, even the smallest infraction could shutter a store and cost hundreds of thousands of dollars in fines and legal fees. Even the most well-run operations can be at risk of violating health codes and potentially causing a foodborne illness outbreak. A logbook with comprehensive, documented checklists and temperature logs has long been used to help employees follow food safety and HACCP procedures ensuring every precaution is taken to avoid contaminating the food you’re serving. For example, if a temperature is out of range, or an accident happens, your managers have access to a quick process that will help them handle it — they simply need to check the logbook for a full breakdown of what to do. Is a new employee unsure how they should handle food items? There’s a checklist for that! Same goes for cleanliness, which can be a huge factor in the food safety equation. If your kitchen or food prep areas (or an employee’s hands, for that matter) aren’t clean, that could contaminate the product you’re serving to customers. 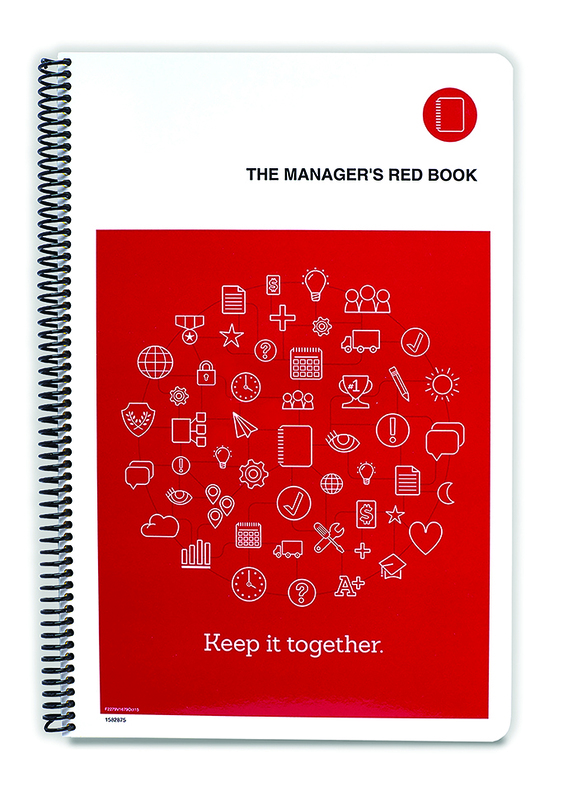 Solutions like The Manager’s Red Book will provide you with checklists to increase accountability and ensure that your business is taking the necessary precautions. We don’t need to tell you — restaurants are volatile environments that can sometimes pose dangers to their workers and customers. Federal regulations mandate that if the new fry cook badly burns himself on the job, your managers must maintain a record of that incident. Maybe a server slips on a wet floor and takes a nasty spill. You’ll need documentation of that as well. On the flip side, managers must also document any accidents involving customers (which you do everything in your power to prevent!) Whether it’s spilling hot liquid on a guest, or a guest slipping on that same wet floor, records of such an incident will help protect your business from a liability standpoint and serve as the first step towards making any changes to make your establishment safer. Teenagers who want to booze illegally tend pop up in restaurants all the time, but if/when they get caught, your restaurant will get in trouble, too. It’s not all their fault in the eyes of the law. Therefore, it’s crucial to have a consistent, mandatory preshift meeting where you can remind your staff daily of the regulations around alcohol consumption in your region. Red Book Solutions’ Preshift Huddle book will give your team the daily rundown of shift priorities, safety notes and liquor awareness so that you can avoid any hangovers. If you’re a restaurant franchisor, you don’t just have to worry about compliance with local and federal regulations. You also need to make sure that you’re following all of the rules of your parent company. For example, if you’re a franchisor that owns five locations, it’s your job to keep your operation consistent with the brand standards of your parent company. If one of your locations is using subpar ingredients in their sandwiches, or employees are ignoring the uniform guidelines, that reflects poorly on your franchise locations. But more importantly, it reflects poorly on your brand and could put your franchise agreement in jeopardy. 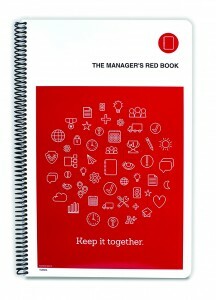 A customizable logbook solution like The Manager’s Red Book will allow you to include brand-specific checklists and guidelines for standards and procedures unique to your business. Should your restaurant use a print logbook or digital logbook? The answer is, it depends. Often, the first step in making sure you’re staying compliant is to document procedures and programs in a book that can be rolled out and implemented across stores. That said, there are other solutions, such as the Red Book Keep App, that allow your managers to upload critical pages of their logbook into the cloud, giving you visibility into all of your locations. It saves your audit team time, as they can view compliance pages remotely and easily monitor which of your regions are performing according to your brand standards. Choose a playbook that reinforces standards, keeps people safe and reduces your liability. You’ll have it covered in writing with The Manager’s Red Book.